Over the weekend, I glittered a few mini pumpkins for fun. 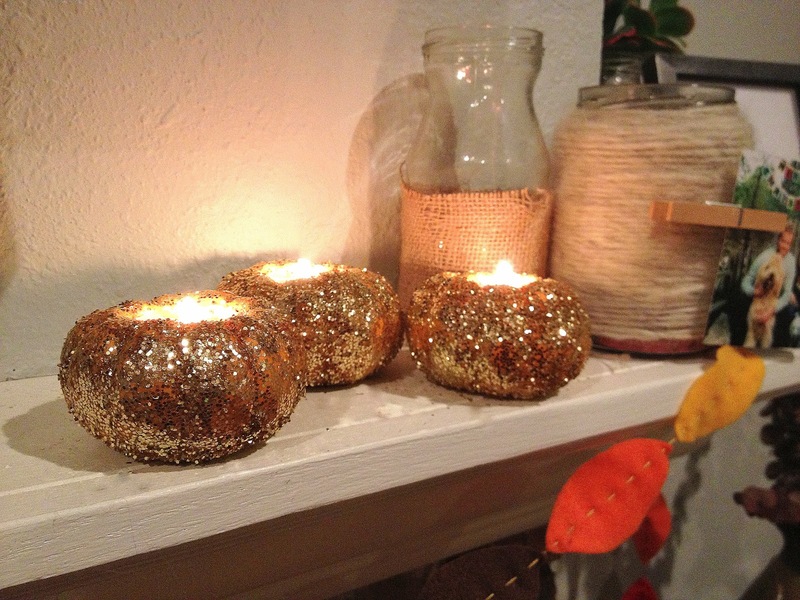 I made these a few years ago minus the glitter, but glitter makes everything better...especially gold glitter. I am sure that you could easily figure out how to glitter pumpkins yourself, but I am a little slow, and made several mistakes. So, rather than show you a step-by-step of what to do, I will give you a little play-by-play of what I did, so you will know what NOT to do. 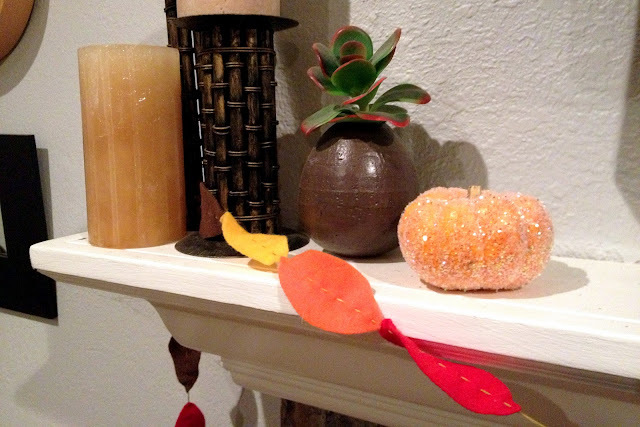 First, I sprayed the pumpkins with spray adhesive. No problems there. Then, I dumped the glitter on. That was mistake # 1. 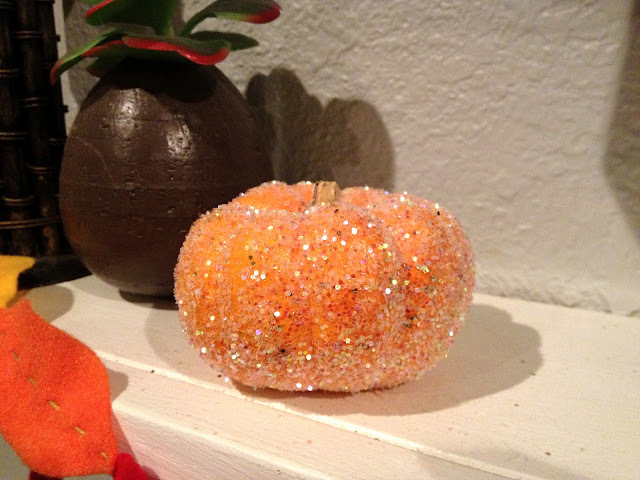 I dumped the glitter onto the pumpkin on the same surface I sprayed the pumpkin on. So, my first piece of advice is to use one surface for spray adhesive and one surface for glittering. 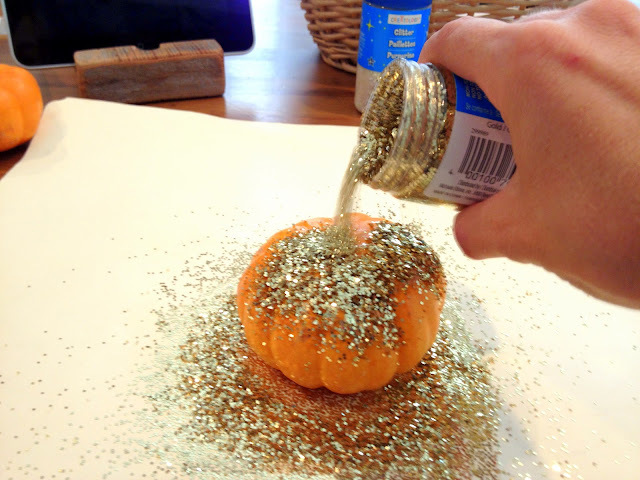 You would think that I would remember that after the first pumpkin, but I kept forgetting, and wasted half my glitter. But, the manila folder I was using is quite beautiful now. 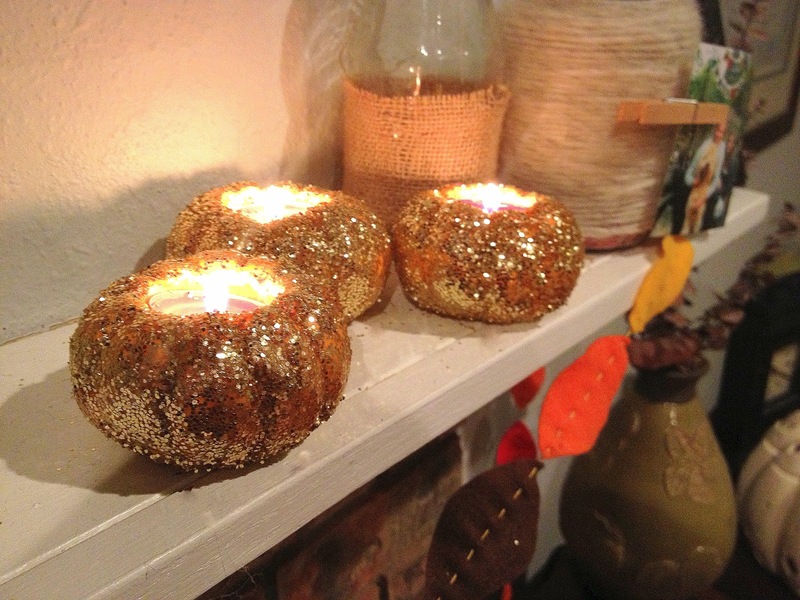 Once the pumpkins were glittered, I cut holes in the top to fit a candle. And that is where mistake #2 comes in...cutting the holes AFTER the glittering. 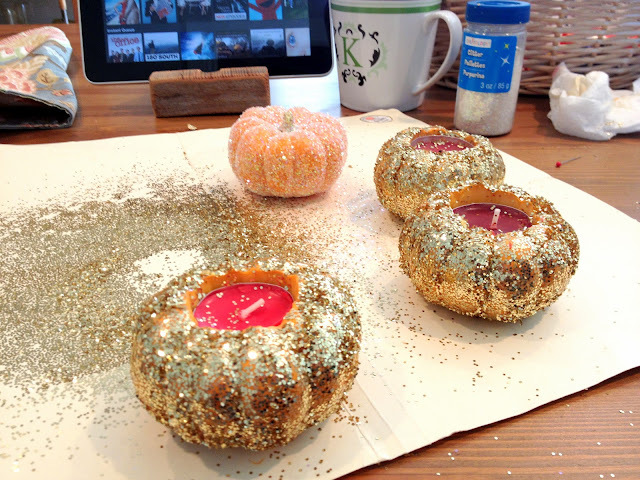 Half the glitter came off the pumpkins in the process, and I had to re-glitter over again. 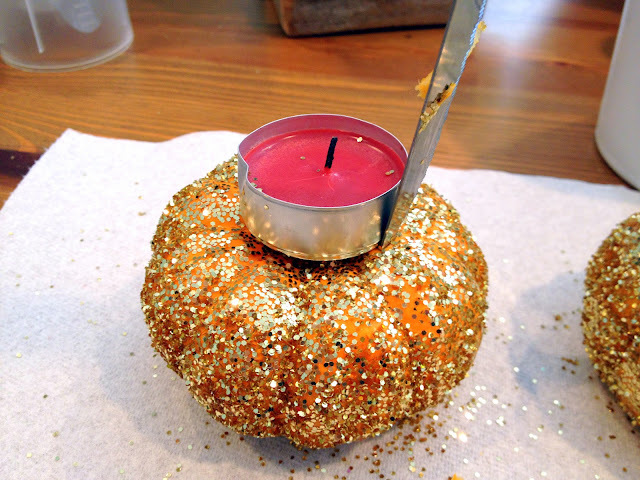 I would cut the hole first, scoop out the insides, then put the top back on for the gluing and glittering. 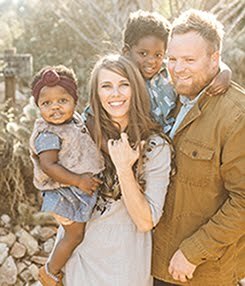 But, they got done, and they are dressing up my house for fall now. This one is my favorite. I need to get more mini pumpkins so I can make more like this one. And now you can go make your own! Because, without this little tutorial, I am sure you would be at a complete loss for how to do this yourself....right? Maybe someday I'll be cool enough to post a real tutorial. Although, that's doubtful. 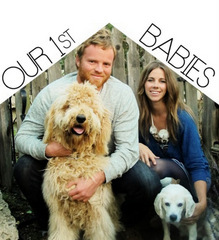 Unless you want a tutorial on how to not get pregnant...because I am really good at that! Did I ever tell you about my funny story about glitter when I taught Kindergarten? 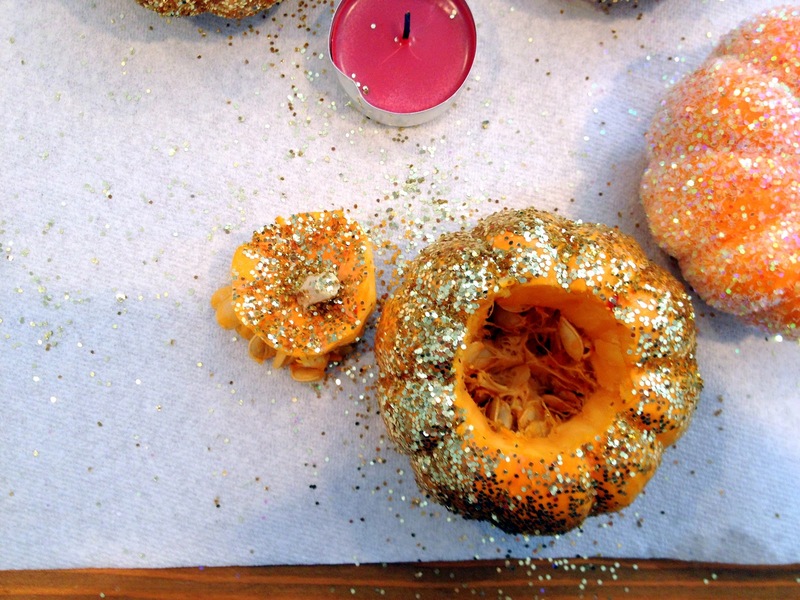 those pumpkins are glam pumpkins! love your play by play. i would've made the same mistakes!